The next installment of the Gran Turismo series is set to hit the PlayStation 3 this holiday season. 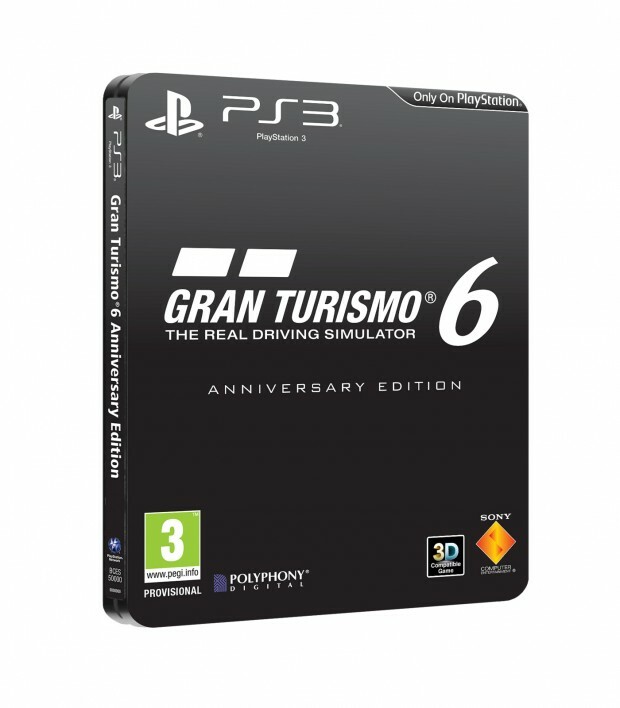 Polyphony has announced that aside from the standard copy of the game, Gran Turismo 6 will also be available in a limited, Anniversary Edition bundle. For US gamers pre-ordering a copy of the game, SCEA has announced that you’ll get four new vehicles to the game’s roster: BMW Z4 GT3 ’11, Nissan GT-R NISMO GT3 ’13, Tesla Model S Signature Performance ’13 and Chevrolet Corvette Stingray (C7) ’14. For pre-orders via GameStop, you’ll also get your copies upgraded to the “15th Anniversary” edition of Gran Turismo 6 at no additional cost. Amazon pre-orders get $1 million in in-game credit, and the four-car pack that SCEA has announced. For EU gamers, the Anniversary Edition will be available through select retailers – full details are over on PlayStation Blog Europe.